Any size of project is undertaken from a new pair of curtains to the project management and full interior design of a new build home. Brief: Project Management, Interior Design & Decoration and Smart House Installation. This owners have owned this house since 2000. This brief was to update the existing house - redecorating internally and externally, new bathrooms, carpets, flooring, windows and the new build element was adding a large sitting room and bedroom suite. Some of the internal layout of the existing space was redesigned to add an additional bathroom and dressing room. The property has also had new boilers, central heating and conversion from Oil to LPG and fully integrated smart home installation running from Control 4. 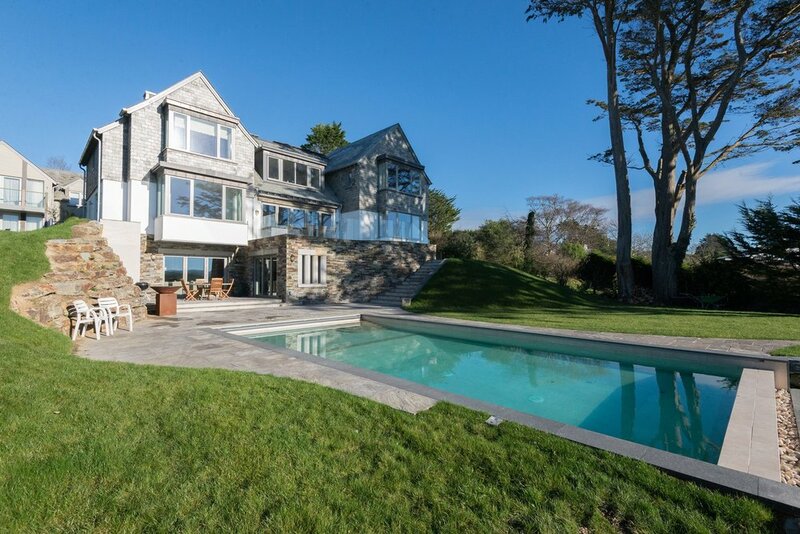 This is a stunning new house on Dunders Hill in Polzeath with gorgeous views over the beach and sea. The brief was to design the internal space including kitchen, utility, bathrooms, flooring, picking out all the fixtures and fittings including sanitary ware, tiling etc. Design furniture layouts, colour schemes and purchase and install all furniture, curtains and soft furnishings. 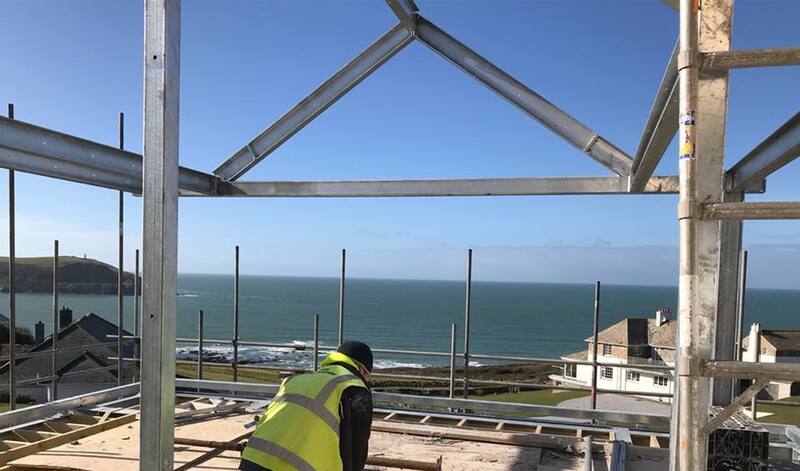 This has been an incredible project to work on - the building a stunning contemporary 5,000 square foot, 3 storey house overlooking the sea in North Cornwall. The project involved working alongside a fantastic team of architects and builders on all aspects of the design of the house, including creating floor plans, lighting design, flooring, bathroom design including sourcing of specialist marble, bespoke furniture and joinery design, bespoke upholstery from dining chairs to sofas and bedroom furniture and full interior decoration. This is a family home - the clients love colour and have a varied art collection which combined with their belongings, new and existing furniture has resulted in creating a beautiful, harmonious, dream beach house. Villa Solena is the stunning old gate house to the Beauregard Mansion; a unique property in Cannes with far reaching views of the Med, owned by an existing client. The property was in need of full renovation. The brief was to undertake the full project management of the restoration and decoration internally and externally of the villa producing a stylish comfortable family holiday home retaining as much character as possible which can also be rented out for events such as the Cannes Film Festival. The upstairs of property layout has been rejigged to create spacious bedrooms all with their own bathroom and the garage has been converted into a bedroom with en-suite bathroom and kitchen dining room below. The garden also needed to be landscaped an replanted with the addition of a plunge pool. The brief here was the interior decoration of the client’s new build holiday rental - a fun family beach house, smart, practical, relaxed and comfortable. WIunderstand that there is nothing worse than going on holiday and feeling stressed about where you are staying. Using robust stunning limed oak furniture combined with bespoke upholstery in the living and bedroom and fun lighting design we created a colourful and homely beach retreat. This beach house overlooking the sea in Polzeath has been in the family for many years. The brief was to maintain as many original features as well as restore and retain as much of the original furniture as possible. Old, seemingly unusable furniture was restored and painted to a new lease of life. Combining this with colourful bespoke upholstery in the bedrooms and living room and a neutral backdrop I created a light and airy smart comfortable holiday retreat. Perfect for a relaxing beach hoiday.